One of our veteran GeoTools user, Andy Bills from Australia, asked me yesterday if it was possible to draw a boundary polyline that hugs the outermost edges of a bunch of adjacent closed polygons touching each other. We already have a command called GT_MERGEPOLY in GeoTools to do exactly that but it had become a bit rusty and needed some polish. We fixed that yesterday in response to Andy's request and now, we have a perfect tool in GeoTools V 12.17 to dissolve polygons and create a nice boundary polyline around them. In this post, I will show you how this can be done. The GT_MERGEPOLY (Merge Adjacent Polygons) tool works on polylines, lines and arcs and merges (dissolves) them all together leaving only the outermost boundary (some common uses: to create TIN model boundary or parcel layout boundary). You can see in the sample DWG that there are gaps(islands) in the TIN model. Let us see what happens when you run the GT_MERGEPOLY command on this sample data set. 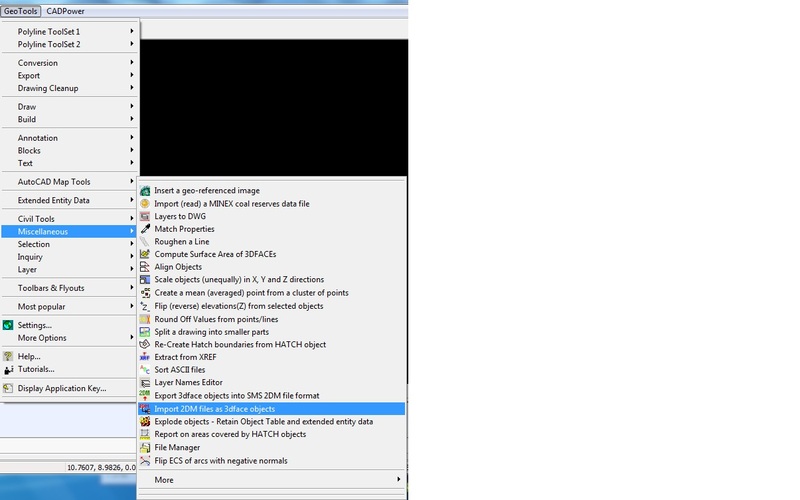 The merge poly dialog box is shown below. 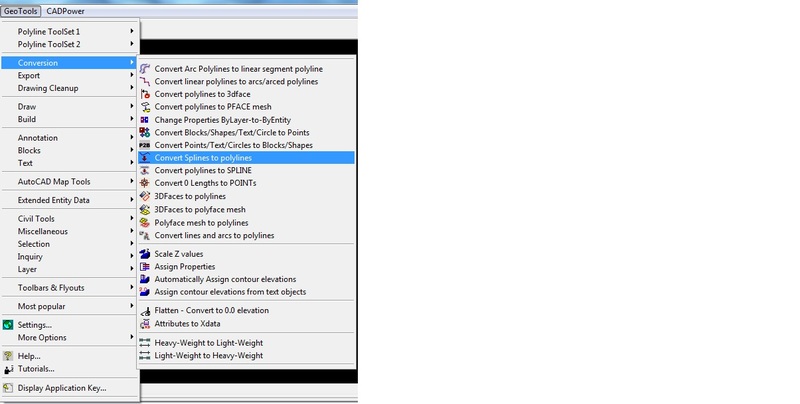 You only need to select the layer into which the outline polygon(s) must go and select the objects. Be warned: The GT_MERGEPOLY command can take a little long to process depending on how large your data-set is. It has to do a number of internal checks, and screen-based selection processing, but at the end of it all, you get a nice, clean outline polygon with all the inside edges dissolved and gone. So, if you need to dissolve all your internal polygons and retain only the outermost peripheral boundary polygon, GT_MERGEPOLY is the way to go. ** Enhanced command: GT_SEGLABEL (GeoTools -> Annotation Tools -> Label polyline segments): The GT_SEGLABEL command now has a new option to do bearing annotations. It is the degree-minute-second format in the style D°M'S" and is preceeded by a N and succeeded by a E or W depending on whether you are in the 0-180 or 180-360 bearing zone. 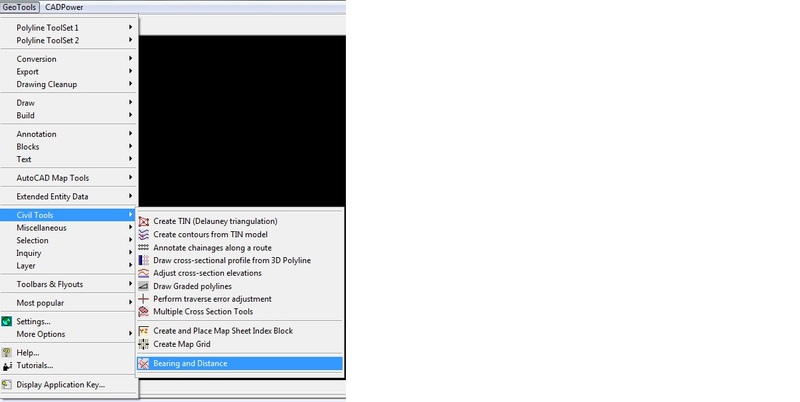 ** Bug Fix: GT_SPL2PL : (GeoTools -> Conversion Tools -> Convert splines to polylines): The GT_SPL2PL command would fail in Windows Vista and Windows 7 if the User Account Control was On and the DXF method was invoked. This is because the command was attempting to create a temp file in the C:\ folder. This has now been fixed and the temp file creation is now done in the Windows TEMP folder where the permissions automatically exist. The GT_IMPORT2DM command had a small bug which caused a spike (due to wrong coordinates reading) during the processing of points whose records number was 1. This has now been fixed. ** Enhancement: The German version of GeoTools V 12.16 now implements the ribbonized interface completely in German with all translations completed. The GT_CROSSSECT command is a multi-process command that uses several existing GeoTools commands like GT_DRAPEPOLY, GT_SET_Z_PL and GT_PROFILE to perform a series of operations intended to facilitate multiple cross-sectioning across a terrain. This command is still work-in-progress. Nevertheless, it has been added in its current state to enable our existing civil users to get a feel of the command and start giving their feedback. What I have in mind is to eventually either design this tool to include volume computation. The objective of the GT_CROSSSECT command is to create cross-sectional profiles across the terrain at regular intervals (strips) and to compute the cross-sectional area formed by each strip. This area multiplied by the width of the strip gives the volume of each strip of the terrain. The sum of the volumes of each strip gives the volume of the entire surface. 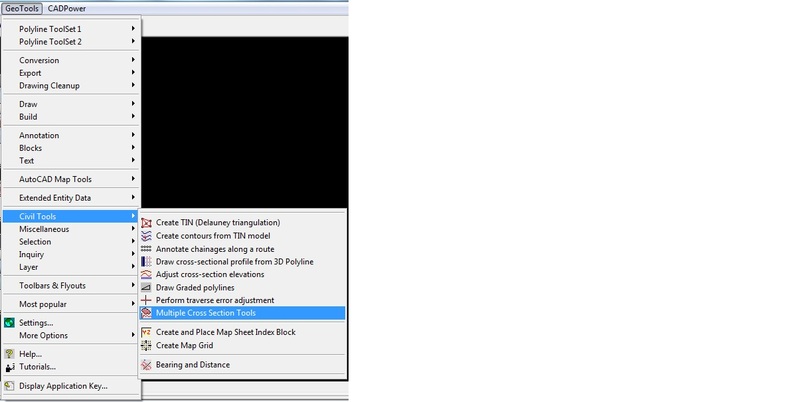 *** New command added: GT_DELSVP (GeoTools -> Polyline ToolSet 2 -> Delete single vertex polyline): The GT_DELSVP command deletes a single vertex or zero-length polyline from the selected objects. Unlike the GT_0LEN2PNT command which creates a point at every location of a zero-length polyline, this command will delete it from the drawing. *** New command added: GT_FLIPARCS (GeoTools -> Miscellaneous Tools -> Flip ECS of arcs with negative normals): The GT_FLIPARCS command will reverse the direction of all normals of selected ARCs which are pointing in the negetive WCS direction. Running this command will make the normals positive (in the direction of positive Z axis of WCS). *** New command added: GT_BEARINGDIST (GeoTools -> Civil Tools -> Bearing and Distance): The GT_BEARINGDIST command will create the bearing angle and distance annotation (as text objects) from one selected point to another. In one of my last posts, I wrote about the AppStore in AutoCAD 2012. Along with the AppStore, the AutoLoader is another nice little tool in AutoCAD 2012 that will ease the burden of third-party developers to create and install their plugins into AutoCAD, and include all the modern user-interface controls that AutoCAD 2012 offers. To go through the motions of the AutoLoader, I created a stand-alone FREEWARE application called PLARC2PL which is one of the more popular polyline tools within GeoTools. It helps convert arcs and polyline arcs into linear segments. The PLARC2PL application is available in English, Spanish and German and one of the first AppStore applications to be so. Today, I submitted my app PLARC2PL to Autodesk for review and approval. That is the normal process flow. Anyone can submit an application for inclusion in the AppStore. You don't have to be an ADN menmber or any other kind of Autodesk partner. All you need is an application that Autodesk will consider worthy of inclusion in its AppStore. Stay tuned on this channel. We will let you know when it is up there and accessible from the Autodesk AppStore for free download in AutoCAD 2012. 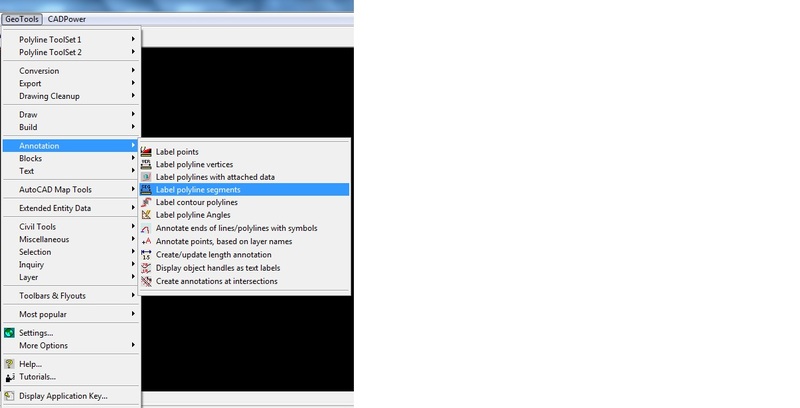 All apps in the AppStore use the AutoLoader and that is what makes it load automatically when AutoCAD 2012 starts. Your apps must be packaged as a bundle of files that resides in a pre-defined folder location and whose structure and contents are defined by a central XML file. The XML file lists all the constituent files, their types and their locations. It also defines the operating system type (32 or 64 bits) and how the loading and execution must be handled in them. Let us examine a structure of the XML file used by the AppLoader. What you see below is the XML file of the PLARC2PL applicaton of ours that is now available in the AppStore. If you know a little bit about XML files, it is easy to understand the structure of the above file. The XML file is packaged with ApplicationPackage as the outermost node and Components as the two inner nodes. Each Components node provides independent information about running the application in 32-bit and 64-bit operating systems. If your application works without change and uses the same files in both 32 and 64 bit OS'es, you can have only one Components node and specify the key as "OS=Win". The ComponentEntry node defines how each component of your application should look. The ModuleName specifies the relative path to the location of the component (like an ARX, VLX or CUIX file). The AppName specifies the name of the component. The LoadOnAutoCADStartup entry takes True or False as values and specifies whether the component should be automatically loaded upon AutoCAD startup or not. There is also a Commands section which registers the commands defined by the application. The sequence of loading of the Components is bottom-to-top. The last ComponentEntry item in the XML loads first i.e in the reverse order in which it is specified in the XML file. 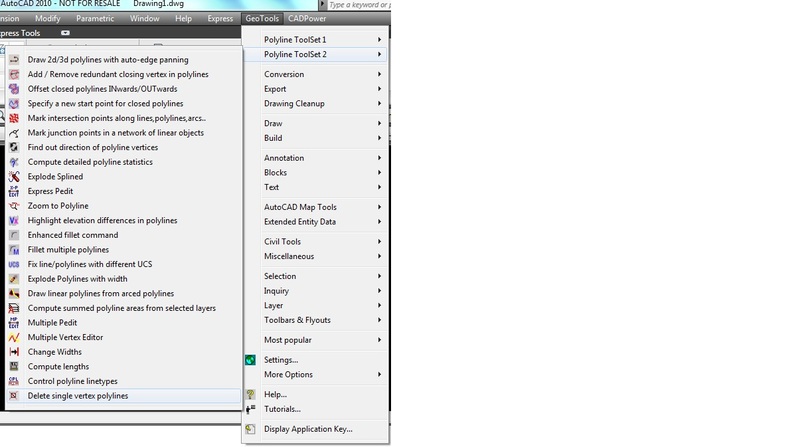 If you want to know more about AutoLoader, AppStore etc directly from an Autodesk source, I would suggest reading Kean Walmsley's Through the Interface blog. Currently, he is writing a series of topics covering the AppStore, how to submit applictaions and more. 1. First, we convert the 2d polyline to a 3d polyline using the GT_CH2D3D command. With this step done, the polyline is now ready to receive the vertex elevations from the points lying on it. 2. However, the elevations cannot be directly transferred from points and have to come from block attributes. So, the next step is to convert these points into blocks. To prepare for this, we create a block with a single attribute to hold the elevation value. The block contains a simple point object and an attribute that will contain the elevation (Z) value. 3. Next, we use the GT_P2BLKSHP command and replace all the points with the newly created block. 4. Next, we use the GT_PROP2ATT command to transfer the elevation value from the block insertion point to the attribute of the block. 5. The last step is to use the GT_ASN_PROP command to 'inherit' the vertex elevations from the attribute of the blocks which are lying on the polyline vertices. This is an example of the kinds of problem-solving that can be achieved using a bunch of GeoTools commands in a specific order.